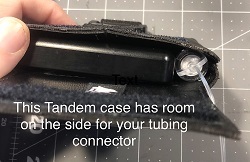 Holds ALL Tandem pumps with regular sized reservoirs. 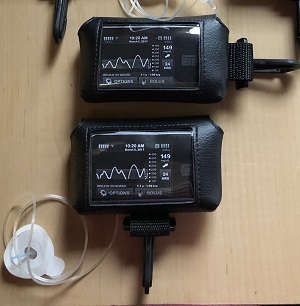 Allows you to view pump screen and Bolus at all times. 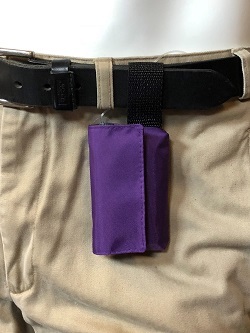 The BeltnGo can only be used with a belt up to 2"wide. 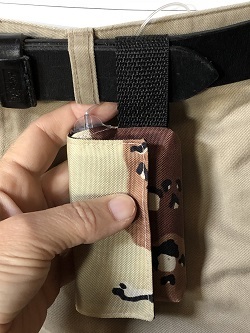 The BeltnGo hangs vertically on your belt. 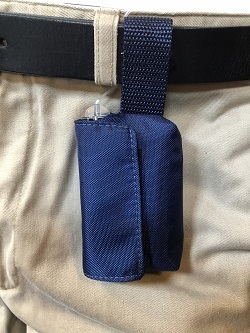 The BeltnGo is designed for any type of insulin pump. 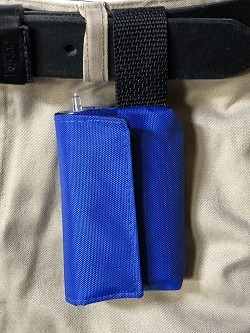 This will fit the Medtronic 600 series as well as the Tandem and Animas. 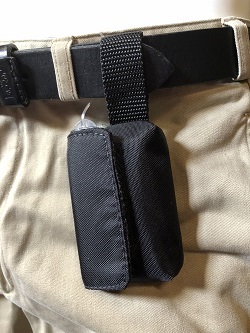 Case hangs with a 2.5" webbing loop. No windows on this case, secures with velcro flap.